UPDATE: Tours filled up fast! Add yourself to a wait list on the registration page (link below) to get notified if spots open up or we add more dates. Hey there, it's been a while! The Willamette Falls Legacy Project team is ready to welcome you out to the former Blue Heron paper mill for the first set of 2018 public tours! 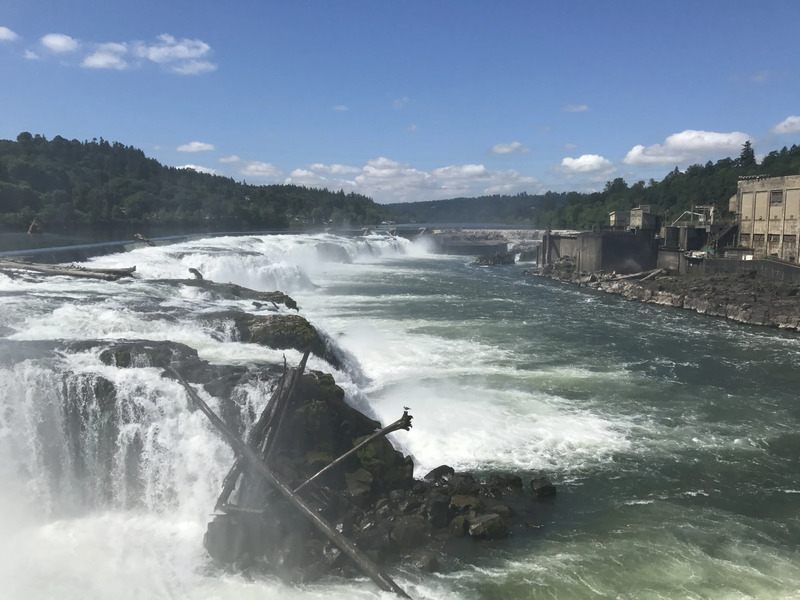 On Friday, June 1 and Saturday, June 2, the Willamette Falls Legacy Project team, with support from Rediscover the Falls, will lead more than a dozen tour groups through the former Blue Heron paper mill site, stopping along the way to soak-in the history, the future and of course, the majestic Willamette Falls. If you're 18 or older and love industrial ruins and breathtaking waterfalls, you should register for this tour (but fast because demand is high). We want to extend our thanks to Falls Legacy LLC and PGE for making these tours possible and to you for your continued interest in this once-in-a-lifetime project. The tours fill up fast, but we inevitably end up including folks from our wait list, so don’t get discouraged if they’re full—register anyway. Annnnnddd, go!